To start our meeting, we discussed the following articles: Sci-Fi Series and Stand-Alones Across the Curriculum by Aileen Kirkham (LibrarySparks, March 2012) and Why Everyone Should Read More Science Fiction by Amie Kaufman and Meagan Spooner (Huffington Post, 2013). 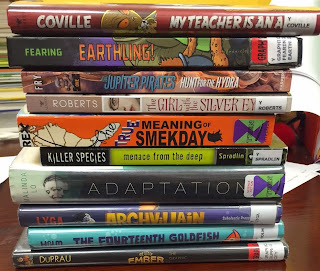 One consideration we talked about is that some of our school require kids to read in different genres and sci-fi can be a hard sell for some kids who think they don't like it. 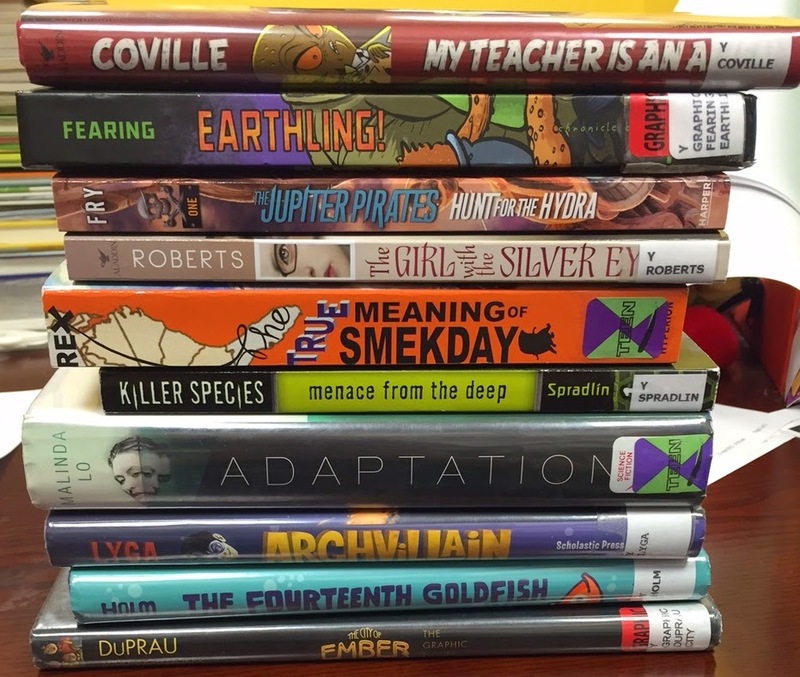 We're always on the lookout for sci-fi that reads like other types of fiction (example: The Fourteenth Goldfish is a science fiction story, but also has a lot of elements of contemporary fiction).